PLEASE NOTE, INTERNATIONAL SALES ARE $21. 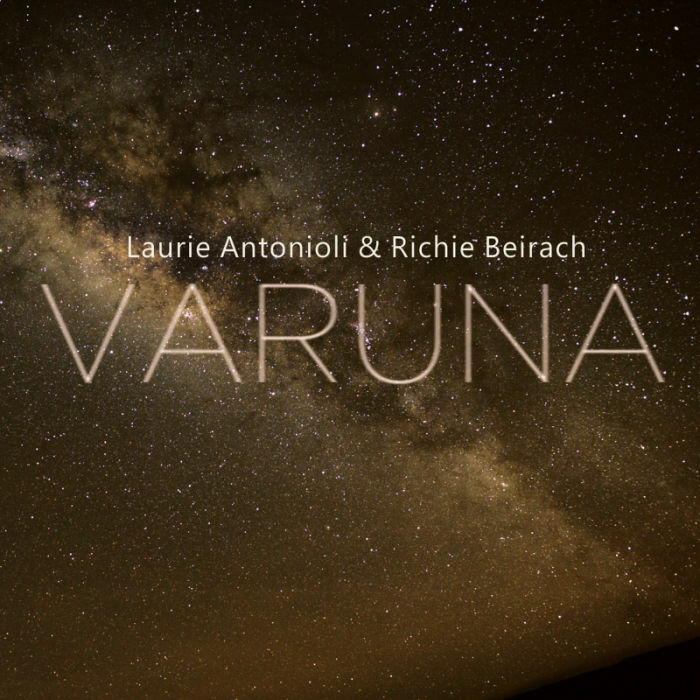 Richie Beirach and Laurie Antonioli meet again, releasing VARUNA, their second album, with sessions from Leipzig and California. Richie and I have been friends and collaborators since we first met in 1988, performing both in Europe and the United States. We’ve had some extraordinary experiences, from the Leipzig Gewandhaus, with a full choir singing my lyrics to Richie’s music, to duo concerts in cities including Istanbul, Vienna, Zagreb, Munich, and San Francisco. When Richie and I are together for a performance, we often go into the studio for a day or two to capture the essence of our collaboration in that time and place. As I traced the arc of the past ten years of these ad hoc sessions, I found a storyline of dreams, the night sky, the morning sun, birth, death, the unseen, and of course, love. 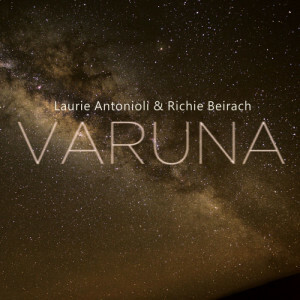 The narrative of Varuna is shaped from our favorite sessions in Leipzig, Germany in 2006 and Berkeley, California in 2012, with some additional recording done specifically for this album in 2015. Were it not for Richie, I might not be singing today. His insistence and belief in me as an artist have never wavered. Of course, Richie’s mastery has never been in question. He has developed a unique voice in the history of jazz, and his students read like a Who’s Who of contemporary pianists. His classically infused playing provokes an interplay that is both familiar and complex, offering unexpected turns leavened with a healthy dose of humor. Varuna is a Vedic god who presides over the celestial waters. It’s also the name of a new dwarf planet, or a moon, that astronomers recently discovered hiding near Pluto. The harmony of the spheres, the miracle of space and time, and the joining of two musicians are all magical phenomena. I hope you find that magic in our music. Be the first to review “VARUNA” Click here to cancel reply.